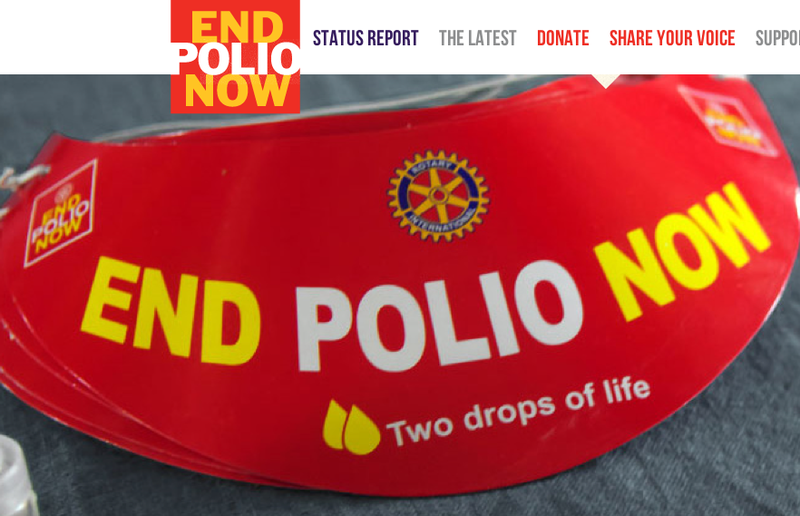 Monday October 15th, Lawndale CA – The Lawndale City Council joined a world wide effort to eradicate Polio with it’s Proclamation making October 24th, 2012 World Polio Day. 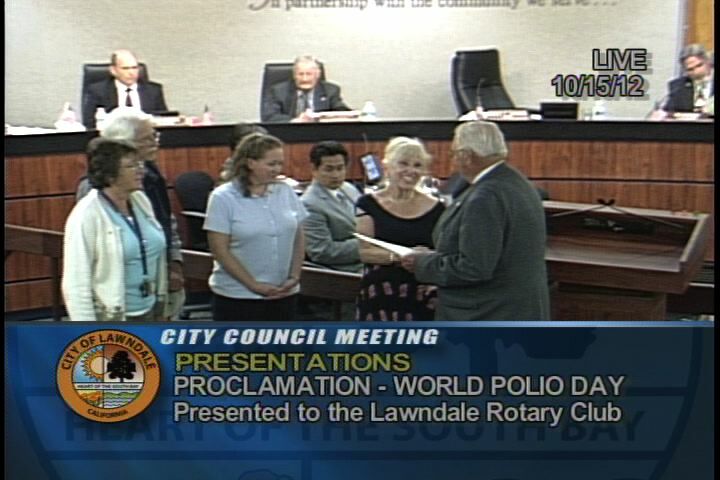 The Lawndale City Council and Mayor Harold Hofmann presented the Lawndale Rotary Members with an Official City Proclamation recognizing the event and Rotary’s efforts to End Polio Now. To learn more about how you can be a part of this world wide effort contact us, or join us for lunch, as our guest, Thursdays at 12:15 at the Lawndale Community Center, 14700 Burin 2nd floor, Lawndale CA 90260.